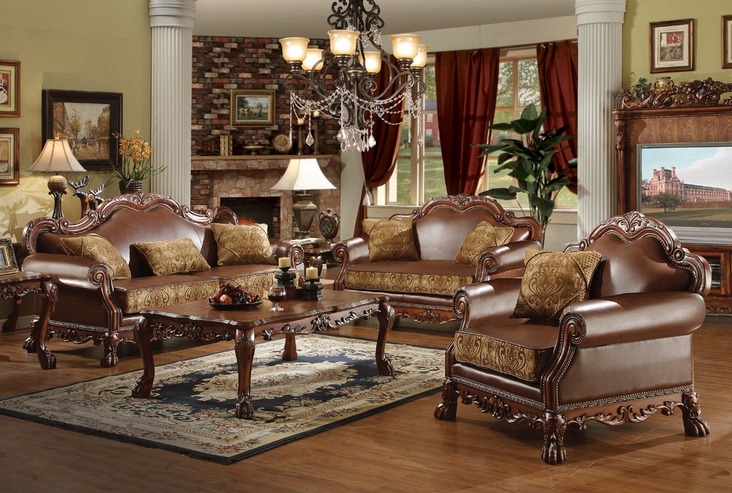 Crafted with the finest solid woods and veneers, the Dresden Collection by Acme Furniture is finished in a beautiful warm cherry wood. 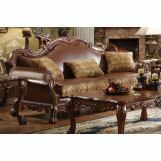 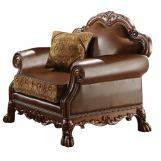 The Dresden Collection is upholstered in durable brown leather like bycast and patterned chenille fabric. 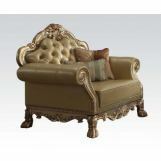 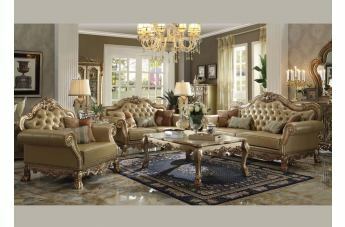 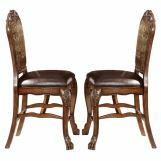 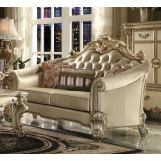 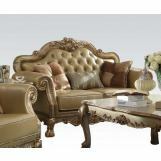 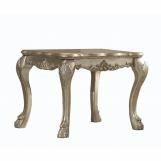 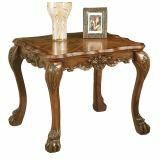 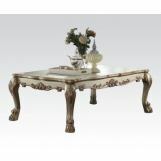 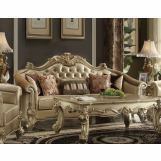 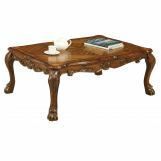 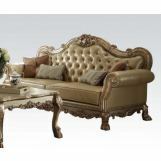 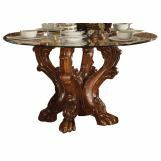 Intensified by remarkable marquetry and carved wood elements, the set features an interesting ball and claw foot design, while roll arm and decorative nail head trim highlight traditional design. 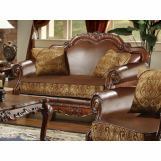 Decorative accent pillows included perfectly suited for any traditional environment.